Before setting up the needed environments, it’s good to define the high level targets. The general idea in this setup is to make the deployments and testing automated where feasible, yet keep the system simple enough to implement and maintain. The target is to set up the system in such a way that acceptance testing and production environment updates are triggered manually even if the deployments are automated. The local development environment is where the development is done. 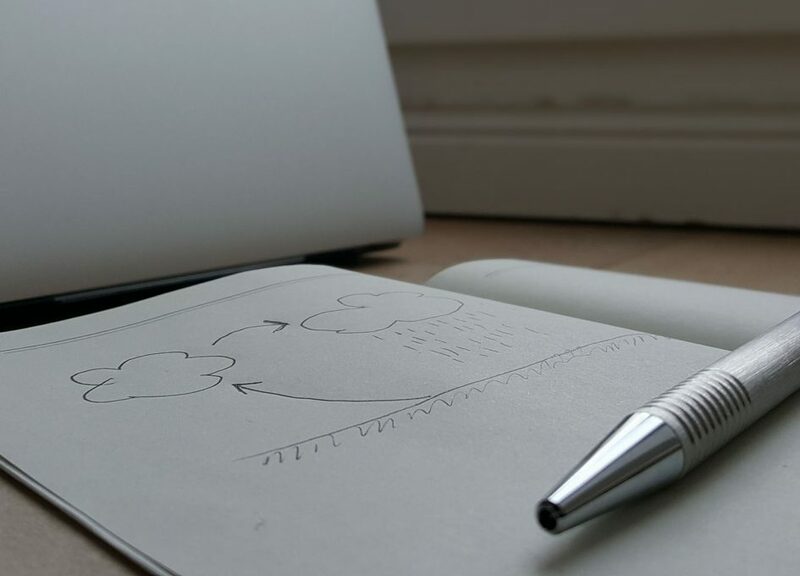 Created pull-requests, merges and other actions trigger jobs for the CI system. The version control system keeps track of the source code and other content changes and triggers CI jobs based on configured rules. Component specific unit and API tests are run by the continuous integration service. The CI will also build and push container images into a container registry, if the tests are passed, and deploy new components to the testing environment. 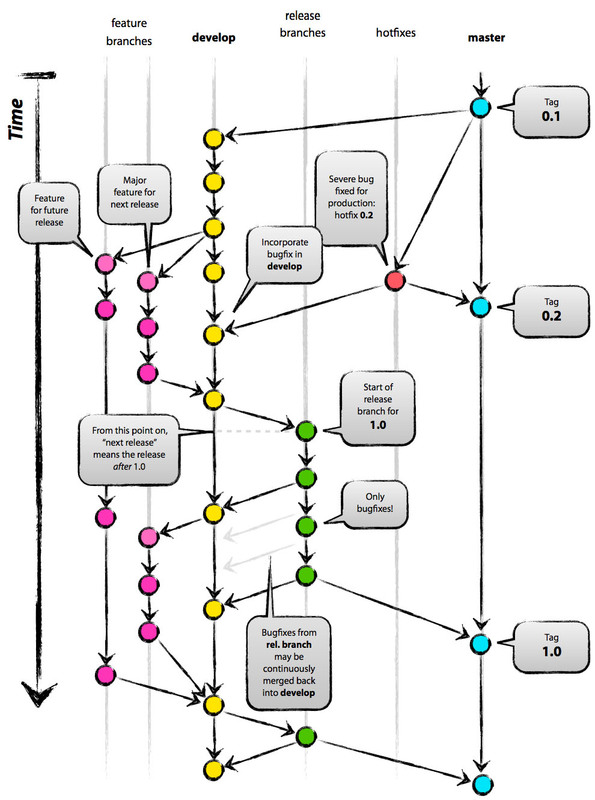 The target is to also trigger the automated acceptance tests to see if the changes affect the system as a whole. The container registry stores and shares the container images built by the CI service. The testing environment is the first environment where the whole system runs in a similar manner as in production. The environment is meant for various testing activities and the system state isn’t automatically reset when the components are updated. This environment is meant for running automated acceptance tests. The system starts from the initial state for every test round. The environment for performing additional manual acceptance tests before the service is accepted for the production deployment. The environment where the service is available for the end users. 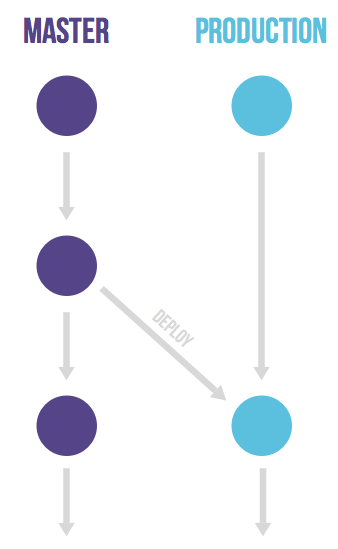 The target for the development and deployment architecture is set for now. Later in the acceptance test related articles we’ll see how close to the target we actually get ;). In the following chapters we’ll take a few new web services into use. Now it’s a good time to create accounts for Kontena, UpCloud, Docker Hub, GitLab and Shippable before continuing forward. The setup will be based on Kontena Container and Microservices Platform and hosted in UpCloud IAAS cloud platform. So let’s install the Kontena CLI application. For macOS the installation procedure is very straightforward: we’ll download the latest stable Kontena CLI release, open the downloaded .pkg file, and follow the installer guidelines to complete the installation. These two commands do quite a lot for us; we’ll end up having two CoreOS-based servers in the UpCloud: one server is the master and the other one is the node. The master is used for controlling the node(s) and all of our application containers will run in the node server. With the used parameters we’ll create the servers into Frankfurt with the default pre-configured option (1xcpu, 1 GB ram & 30 GB, at the time of writing), but these parameters can be modified. Docker Hub is used for hosting the created docker images in these articles. For these articles we created articleprojects organisation and front-service, app-service and auth-service repositories under it. The Dockerfiles we defined in previous article won’t work outside of the local development environment. We need to define new files for the production environment. We’ll do a smoke test run to make sure the basic scripts are working and we’re able to run our containers in the testing environment. front-service$ docker build -f Dockerfile.prod -t articleprojects/front-service:1 .
app-service$ docker build -f Dockerfile.prod -t articleprojects/app-service:1 .
auth-service$ docker build -f Dockerfile.prod -t articleprojects/auth-service:1 . We’ll use example.com here for presentation purposes, but any domain will do as long as you have access to its DNS records. We set A records for app.example.com, auth.example.com and example.com names to point to our node server ip address and a CNAME record to direct www.example.com to example.com. Depending on the set TTL and other factors it usually takes from a few minutes to a few hours for the changes to take effect. In case everything went fine, and the DNS changes are in place, all the services should be available via their respective domains. It’s good to make sure everything is working well at this point, before continuing to SSL/TSL certificate configuration. The domain authorisation is DNS-based so we need to tweak the DNS records once again. Since Let’s Encrypt doesn’t support wild card certificates we need to do the authorisation for all four domains (example.com, www.example.com, app.example.com and auth.example.com). We’ll repeat the following authorisation part for each domain and add a TXT record using the name and content information the commands return. If things went as they should, our services are now properly equipped with https-connection features. We need to check that all three services are available via their https-addresses and we also need to make sure the http->https redirection works by trying out unsecured http-addresses. Good! Let’s Encrypt certificates will expire in three months and at the moment Kontena won’t handle the update automatically. However I’ve understood that the people at Kontena are thinking about implementing the support for the http-based domain validation model, which would allow automatic certificate updates. Anyways, the certificate update can be done by redoing the authorisation via DNS, and then running the kontena certificate get –secret-name… again to update the vault variables with new certificates. Once the certificates are updated the Kontena load balancer should take the updated certificates into use automatically. Since the testing environment is basically available for any internet user, we’re going to set a basic auth to give it some protection against unwanted visitors. Depending on the situation, better protection may be needed, but this is a good start. We enable the basic auth feature by passing the credentials to the services as KONTENA_LB_BASIC_AUTH_SECRETS secret. Also encrypted passwords are supported, more information about those are available in the Kontena load balancer documentation. The Idea is to run component specific tests for every master branch change, for front and back end service code repositories. If the code passes the tests and other requirements, the system builds new images, pushes them into Docker Hub, and commands Kontena to update the testing environment service stack with the latest containers. Depending on the component, CI tests will contain unit tests, API tests, test coverage checks and ESLint coding convention checks. A GitLab access token is needed for granting the Shippable access to the GitLab repositories and to automatically trigger CI-builds when merges, commits and pull-requests happen. 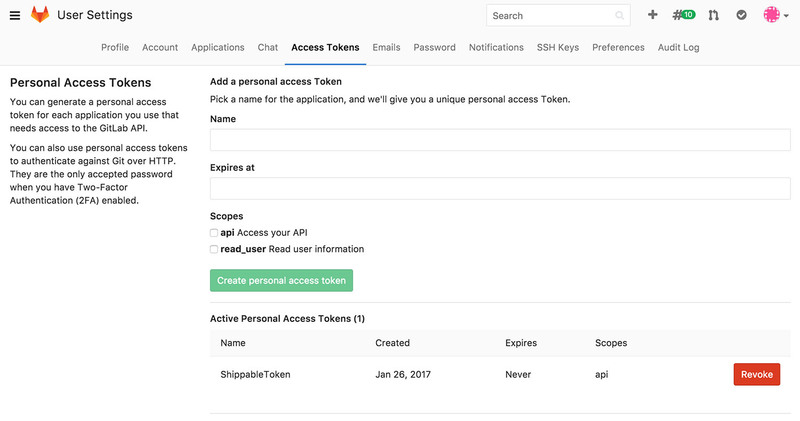 The access token can be created in User Settings -> Access Tokens menu in GitLab. With the access token it’s possible to enable the integration in Shippable via Account Settings -> Integrations. 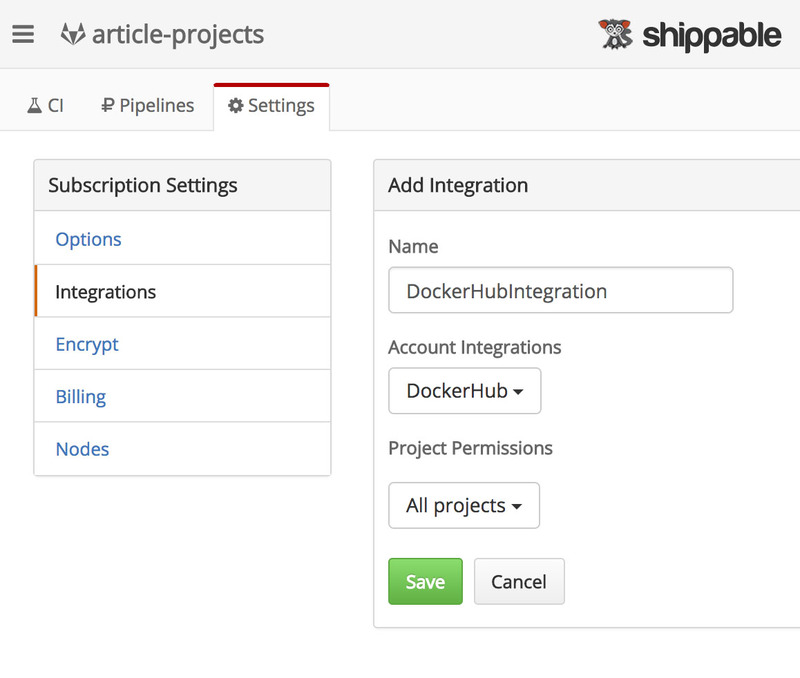 After creating the integration, the synced projects and repositories have to be selected in Shippable. By clicking the Subscriptions hamburger menu in the top left corner the list of available Git repo groups/projects/repos becomes visible. After selecting a group from the list, related available repositories are shown in the screen. 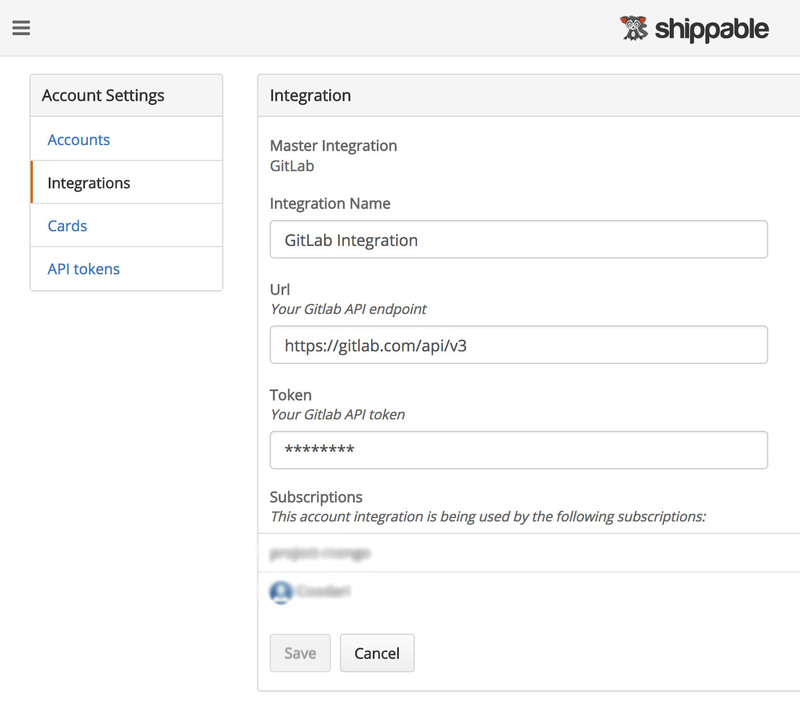 By clicking Enable for a repository, the integration between Shippable and GitLab is enabled for it. If expected Git-projects aren’t visible in the Subscriptions list, the Sync button in Account Settings may solve the issue. Docker Hub credentials are needed for enabling the Shippable integration. 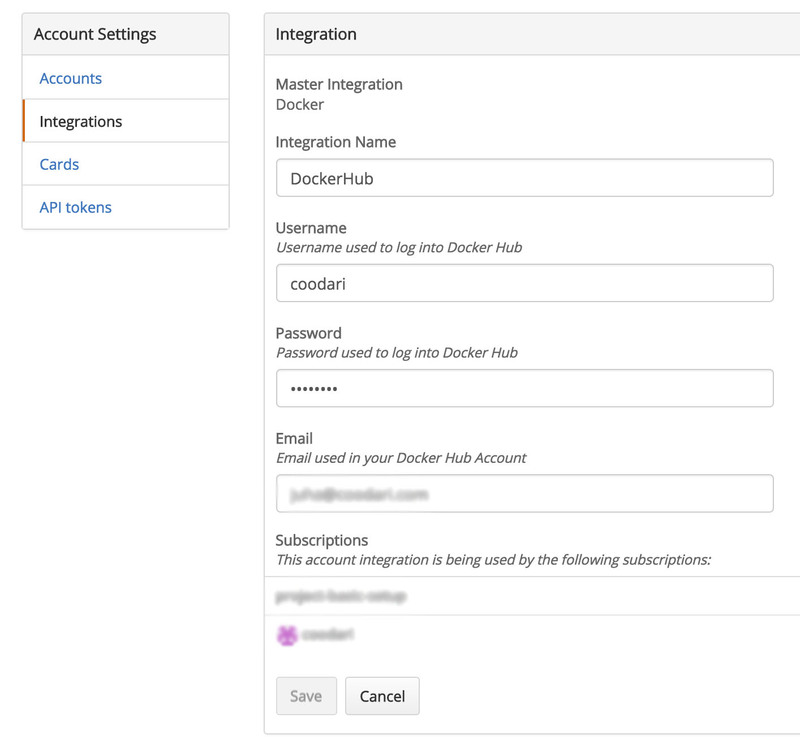 Integration can be added via Account Settings -> Integrations and creating a new Docker integration. The integration must be also enabled for each repository group or specific repositories. In the integrations section the integration with Docker Hub is defined so that Shippable knows to automatically use Docker Hub credentials. With the secret environment variables, it’s quite safe to store Shippable secrets in Git, since the encryption key is Shippable user or project group specific. It seems to be possible to use the same secrets with projects belonging to the same repository group, but not with projects belonging to another group. The secrets can be set via repository group Settings -> Encrypt menu. The only major difference compared to the Front Service is the added PostgreSQL service which is needed for the API tests. Kontena also provides a HTTP API interface, but based on the discussion on the Kontena Community Slack channel the CLI is the recommended way to access the master from CI environments; in the end the API calls would only replicate the already existing CLI functionality in a more complicated way. Everything should now be in place for trying out the Shippable builds, so let’s commit and push those shippable.yms files into GIT-repositories and Shippable should start running CI for them. We don’t have much to test just yet, but we’ll add more code and test tools in coming articles. 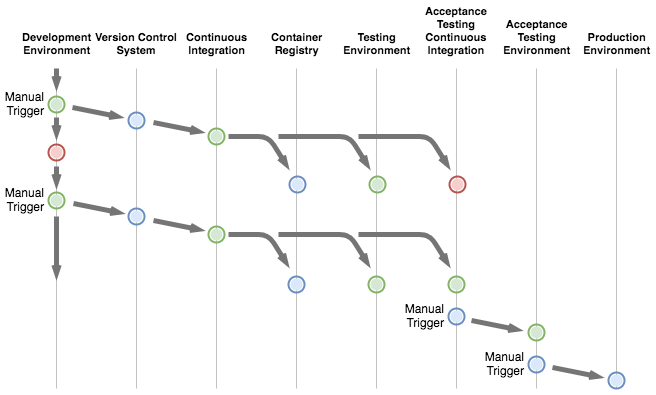 There are various strategies and processes for managing branching and merging in GIT repositories. I’m not going very deep into the subject here, but something along the line of Git Flow, GitHub Flow or GitLab Flow are the most common ones based on my experiences. In coming articles we may complement the workflow with acceptance testing and production environment related details. Then we’ll commit the change and make a pull-request to the master in GitLab. At this point we see that Shippable CI is triggered to make sure the proposed PR won’t break the tests. We don’t have any tests in place yet, so the CI job should run through successfully. Once the pull-request related CI job is ready, we’ll merge the PR into the master. This will trigger another CI run which should also pass, push the Docker image into Docker Hub and update the testing environment. Once the CI job is finished we’ll check the Hi there! text is also visible via the browser. We’ve now setup a testing environment together with the CI integration. We’ve also set some Git rules to guide us in the upcoming development endeavours. There are still quite a few things to be done until we’re ready to deploy the services into the production environment, but step by step we’re getting there. In the next Testing Environment (2/2) article we’ll take a closer look into component and system level testing and do some test planning.